"I wrote about kid-created instant edible Torah Scrolls years ago, back when I could get away with a lot more sugar in the classroom. And, I’ve already talked about the holiday and why an edible Torah Scroll can be a good enrichment activity for Simchat Torah. When kids explore a real sefer Torah as model and special guest, they understand what they are re-creating and why. This post is a simpler version. Less candy, less time, but actually more fun. 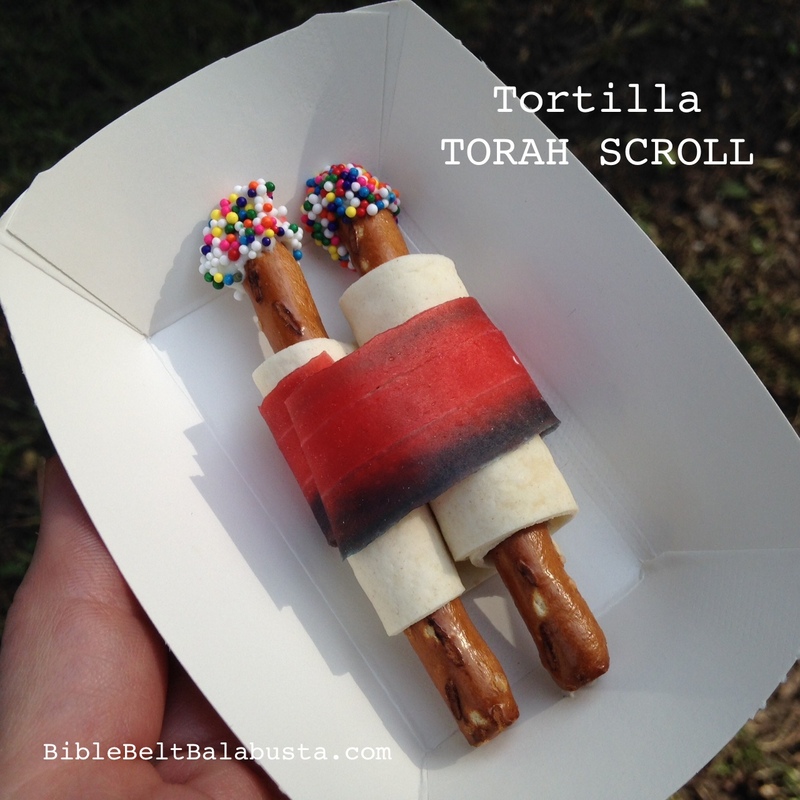 And, kids get to be a scribe / sofer with their own Torah scrolls by writing with food-safe ink. "